Usher in the auspicious Year of the Pig at Fat Chap with a 6-course Chinese New Year menu that is reminiscent of a lovingly home-cooked Asian meal. 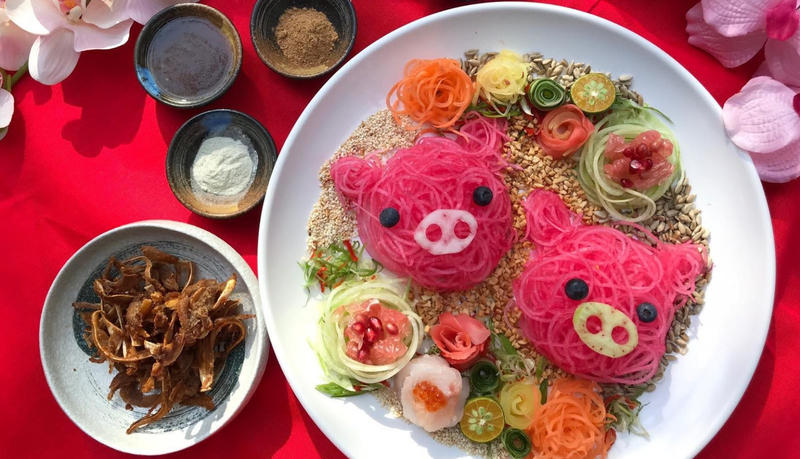 Celebrate the season of prosperity and toss to greater heights this 肥 (fat and prosperous) year with Fat Chap's unique take on the traditional yusheng – Ear of the Pig (medium - S$38.80++; large - $48.80++)! Indulge in a selection of Asian favourites with Fat Chap's Chinese New Year 6-Course Menu (S$48++, minimum 4 to dine) – perfect for sharing with loved ones of all ages! Fat Chap is located at East Wing, #01-643. You may use our NEW Interactive Directory on your mobile phone to find your way to your favourite shop, brand or product. Visit quickguide.sunteccity.com.sg.